Women in STEM (Science, Technology, Engineering, Math) are smart, inquisitive and innovative women with the power to change industries and push boundaries. At CDW Canada we are fortunate to have many of these women helping to lead our teams, provide solutions for our customers and support to our coworkers. Though there are more women in STEM than ever before, Statistics Canada still reports that women are always less likely to choose a STEM program, regardless of their natural abilities. In honour of International Women’s Day, we would like to highlight two of the many women at CDW, that are not only successful in a STEM industry, but can also provide inspiration and guidance to other STEM women. I joined the CDW Canada sales organization in May 2008 and have enjoyed great success in a variety of customer-facing roles. 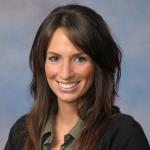 As Business Development Manager, I am responsible for accelerating growth within CDW’s Public Sector segments. During my tenure at CDW, I also completed my MBA degree and Certified Managerial Accountant certificate with Wilfrid Laurier University. I also completed my Arts & Business undergraduate at the University of Waterloo in 2006, where I used my numerous co-op terms to gain on-the-job experience, while also traveling and working abroad. I currently hold the position of Cisco Partner Specialist at CDW Canada. My educational background consists of a Bachelor of Computer Engineering, which I acquired in my hometown, Tehran, in Iran. In 2008, I moved to Canada and completed a Master’s degree in Computer Networks Engineering at Ryerson University by 2011. During my studies, I was working as a Network Analyst in an Actual Cisco Lab at Ryerson. Upon graduation, I was hired by WIND Mobile as an IP planner. My career at CDW commenced in October 2013 where I achieved several certifications, including Cisco Certified Network Professional (CCNP R&S), Cisco Certified Network Associated (CCNA R&S), Cisco Certified Design Professional (CCDP), Cisco Certified Design Associate (CCDA R&S), Implementing Cisco Unified Wireless Networking Essentials (CCNA Wireless), Cisco Certified Wireless Professional (CCNP Wireless), HP ASE Building HP FlexFabric Data Centers and HPE ASE Architecting HP FlexNetwork Solution – with a desire to continue to grow my certifications. Q: Why did you decide to go into STEM? JS: I lived in the Waterloo region for 7 years—during my undergraduate studies and following my graduation. The Waterloo region—at the time and now—is known to be a major technology hub, where many startup tech companies were born and are now flourishing. The jobs in technology were exciting and there was great career growth potential in the tech industry. When I was ready to move to Toronto, I reached out to my network of friends in the industry and was referred to CDW. Hard to believe it’s been almost a decade! FM: When I was younger, I had a passion for mathematics and technology, and evidently found talent and interest in these subjects. As I got older, my interest in these subjects grew and led me to pursue a career in STEM. In my hometown, degrees in IT were prevalent, and the job market was promising. I also noticed the importance of women in STEM careers and wanted to be a role model to promote this career path for other women, as the number of women in the program has the potential to grow with recognition. Q: Do you find the position of Women in STEM is changing and if so, why? JS: Departments no longer work in silos – collaboration is a must, especially in the technology sector where the Customer is looking for their partners to provide end-to-end solutions and to help them integrate multi-vendor architectures. They want a partner that can help them mitigate their risks and support strategic planning from a holistic lens. This kind of collaboration really speaks to women’s strengths and I think that’s why we’re seeing more and more women in leadership roles. FM: In my opinion, the number of women in STEM is steadily growing as I’ve noticed more women involved in this career path. In comparison to the past, the demographic has shifted, and gradually the number of women acquiring engineering degrees has flourished. Q: What is the most exciting part of being at CDW working in STEM? JS: Working with our Public Sector customers in both the education and healthcare fields – in the education sector, technology has dramatically transformed the learning experience: more interactive and collaborative, yet allowing for self-paced learning and individualized learning plans. Most importantly, preparing students to be employed in jobs that don’t even exist today. In Healthcare, technology is contributing to better patient outcomes by reducing medication errors, improving patient safety, enhancing communication and workflow, and so much more. 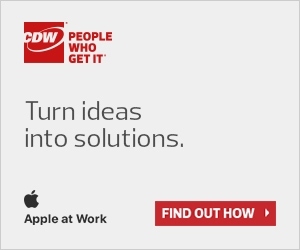 At CDW, we are constantly evaluating new partners and emerging technologies. It’s very exciting making these connections for our customers. FM: The most exciting part for me is collaborating with teams and being able to share innovative ideas with others. I enjoy the fact that in teams my voice can be heard, and that I can collaborate constantly. Teamwork is one of my transferable skills, and my job in STEM ensures that I can use it. Q: What are the challenges you face being a woman in the STEM field? How do you overcome them? JS: I’m fortunate to say, I rarely notice that I’m one of few women in a room – I always feel very confident that I’m an equal contributor. This is also a testament to the attitude from my male colleagues and customers. That being said, as a mother of two young children, work-life balance is always a challenge. Technology never sleeps and sometimes our office doesn’t either! The office is still buzzing at 5pm, however as a parent, I need to switch hats and maintain family life. Fortunately, today’s technology allows you to work from anywhere and to collaborate more effectively (think Cisco spark, Skype, Google G Suite). Many of my internal and partner meetings are by Web-ex or Skype, eliminating travel time to in-person meetings, in some cases adding hours back to the work day. FM: Some challenges I have incurred in STEM roles have involved being the only, or one of the few women on the team. In order to overcome this difficulty, I have often strived to take on leadership roles and to consistently share ideas in these groups. Another challenge has been to overcome stereotypes. For instance, when people see me, they do not assume I would be able to recommend, build and support an IT solution paired with professional services for our customers – but I do. I am confident in my expertise and qualifications, and in turn – others are also. Q: What advice do you recommend to women who are starting out in STEM? JS: Don’t be afraid to ask questions and be confident about the role you’re starting out in. You don’t need to start at the top – hard, smart work doesn’t go unnoticed; promotions will come in time, however you can be your own advocate by speaking up about your accomplishments. No one expects you to know everything and whether you’re new to a field, or a seasoned professional, there is always something to be learned or something that can be challenged. Also seek out a strong mentor and make time for networking. FM: My advice for a woman starting out in this industry is to understand your strengths and to consistently utilize them within the industry. By doing so, you can help to make a change in the role of women in STEM, as ensuring that you are recognized in your workplace. Additionally, take your challenges as an opportunity to improve in your profession, rather than a roadblock that stops you from succeeding. Q: What advice do you recommend to women who are currently already in STEM? JS: Don’t be afraid to ‘pivot’ directions when a new opportunity arises. It’s great to have a 5 or 10-year plan, but don’t put blinders on that could limit your experiences. Be open to change, challenge and constructive criticism. FM: My advice for women who are currently working in STEM is to always look for more opportunities in your career. As a woman in this industry, you should always be proud and be a leader. Also, you should always find adventure in your career, by exploring options to make your job in STEM continuously more interesting. Remember that working hard to be recognized as a woman in STEM is worth the challenges that you might incur. At CDW Canada, our women in STEM rise to the challenge – they are part of the change on a day to day basis; they rise to the occasion, lean in at the table, and provide their input to help CDW Canada move the business forward. Our coworkers are a constant reminder that there are no limits or boundaries in the workplace – there are only the ones you place on yourself. Next articleIs Your Business at Risk of a Security Attack?